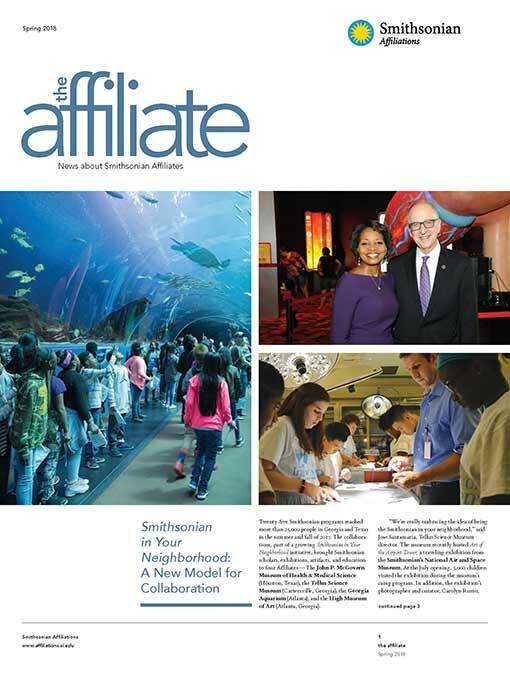 Printed bi-annually, The Affiliate highlights the extraordinary work in Affiliate communities. It’s where we highlight the local impact of the Smithsonian and how partner organizations share resources with the Smithsonian. The Affiliate is distributed throughout the Affiliate network, across the Smithsonian Institution, and to members of Congress. Catch up on all the Affiliate Newsletters here. 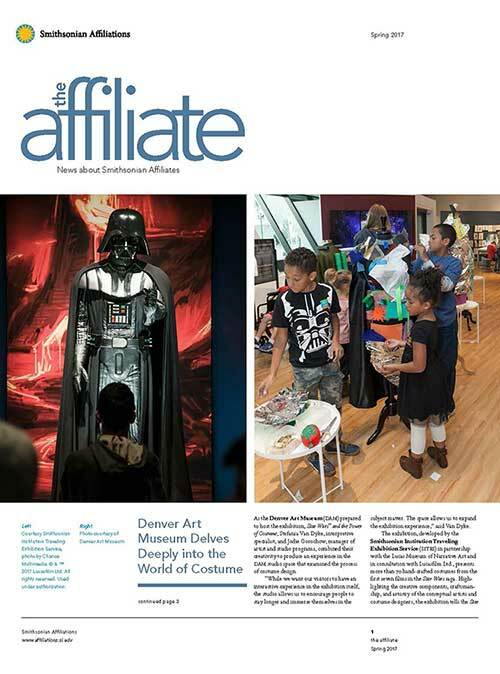 Contact us for a copies of any edition of The Affiliate newsletter. Read the Spring 2018 newsletter here. Read the Spring 2017 newsletter here. 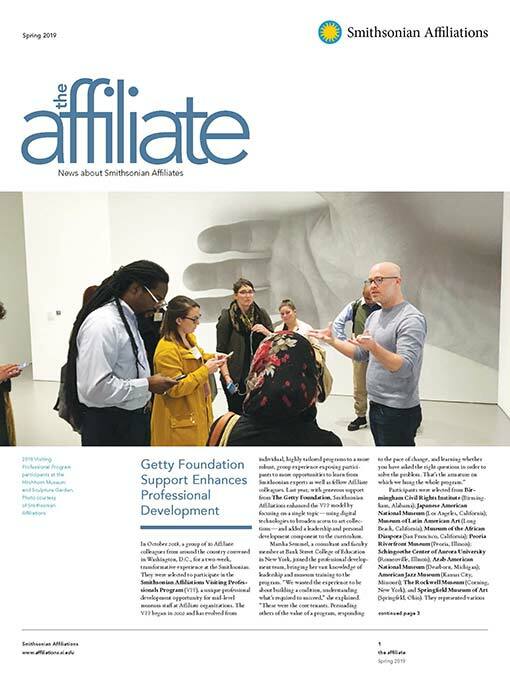 Browse even more editions of The Affiliate on ISSUU.